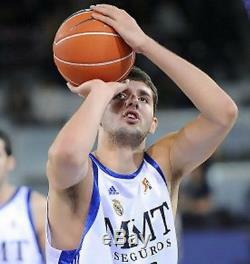 Nikola Mirotic of Chicago Bulls. Real Madrid official team jersey not a store edt. 2010/11 Season ACB Liga competition (Spain Basketball Championship). 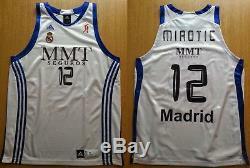 The item "MIROTIC Real Madrid Jersey Camiseta Canotta Trikot Basketball 2010/11 XL Bulls" is in sale since Monday, December 18, 2017. This item is in the category "Sports Mem, Cards & Fan Shop\Fan Apparel & Souvenirs\Basketball-Other". The seller is "shirtsonauction" and is located in Belgrade, default. This item can be shipped worldwide.